Quick & easy to use, when bathing isn't an option. Ideal for winter use or to take away to competitions. Use: Quick and easy to use as an aid to grooming or for last minute grooming, when bathing isn't an option. No Water Required - No Rinsing Required Aids & Reduces Grooming Time - Great For Winter Use & To Take To Shows. A must for use on grey and coloured horses with white markings to lift green and yellow oxidation away from coats, tails and feathers with speed and ease. 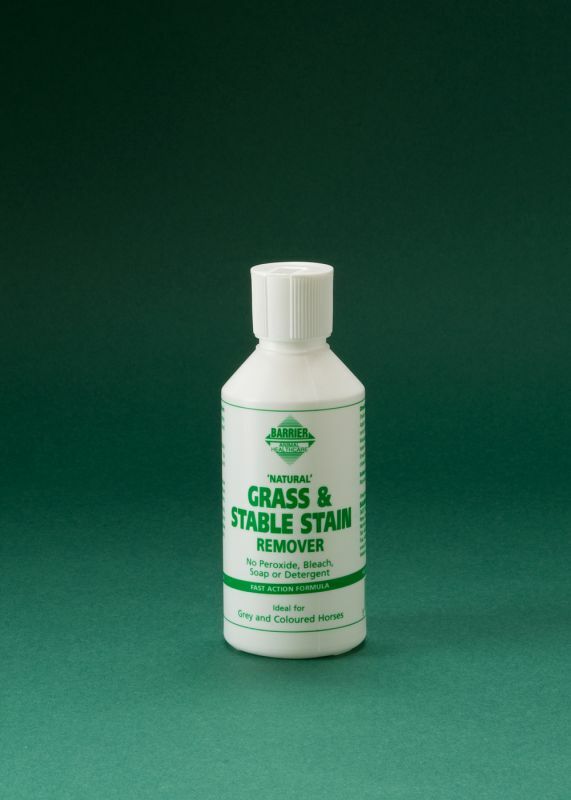 Grass & Stable Stain Remover Spray-on is kind and gentle to the skin but with the power to quickly break down, dissolve and remove heavy soiling including mud, dirt, urine, manure, dried on sweat stains and grass stains with ease.